Public support for NSA whistleblower Edward Snowden is growing across the country in leaps and bounds. 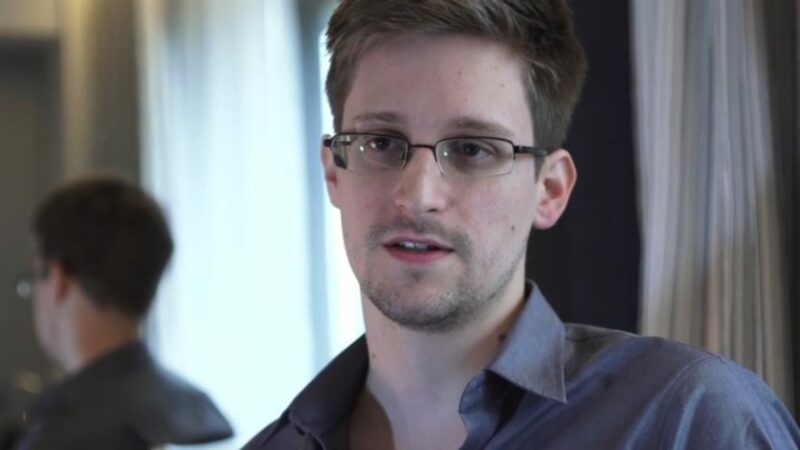 Already over 62,000 people – as of 10:30 am 6/20/13 – have signed an online petition in support of Snowden. The petition can be accessed here. There’s also a move afoot across the nation and here in San Diego to hold protests against the surveillance and spying programs that Snowden helped to uncover and disclose. 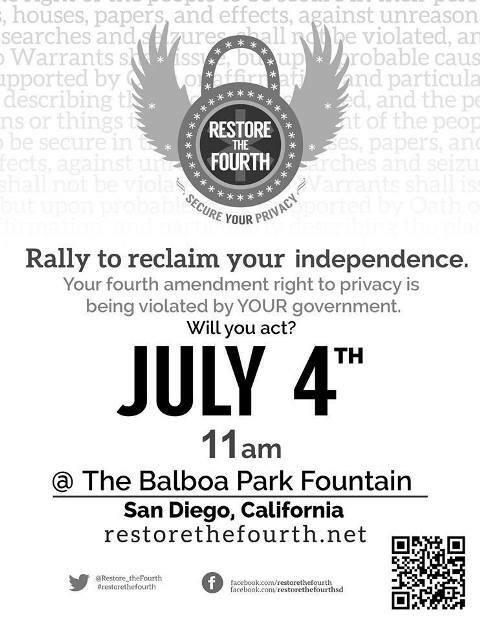 A new facebook-organized group, called “Restore the 4th” is calling for actions this July 4th. One has been planned for San Diego at Balboa Park at 11am. We believe the government of the United States must respect the right to privacy of all its citizens as the Fourth Amendment clearly states. We seek to bring awareness to the abuses against our civil liberties and the erosion of this cornerstone of our democracy. Our inalienable rights protected by the U.S. Constitution have been secretly violated by the activities of the NSA. Restore the Fourth was created to demonstrate to our leaders the permanence of the rights of American citizens and the importance of transparency in addressing its constituency. Furthermore, we aim to prove that when these rights are idly ignored, the parties responsible will be held accountable for their actions. On July 4th, Restore the Fourth is holding a series of large, nonviolent protests in cities across the country. The protests will be uniform in their message: that the government of the United States of America must adhere to its constitutionally dictated limits of power and respect the fourth amendment and the privacy of its citizens. The United States of America, 313.9 million (2012), has a relatively small presence on the worldwide petition to support Edward Snowden. Show your support, sign the petition: 1,215,215 have signed already! Google and Facebook are flat-out lying about the depth to which the NSA is “hard-wired” into their infrastructure. Want the REAL story about what the NSA is doing with your life and communications, read Freedom on the Rocks – Federal Tyranny versus Terrorism.